This time we?ve decided that you?ll decide which color scheme best fits your site. That?s why we?ve developed this theme with an accent colour selection. This means that, by using a color picker, you?ll be able to choose your style. 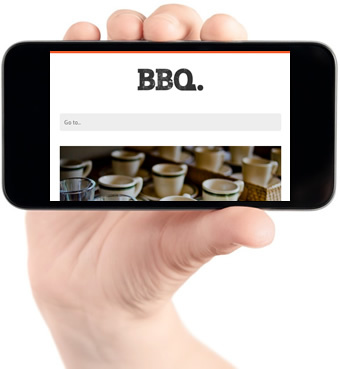 BBQ offers an excellent system for administration of menu cards. Powered by a specially developed custom post type and a custom taxonomy you can easily organize your food and drink menu. For those curious customers you can set gluten free items, calories per serving, vegetarian and spiciness. 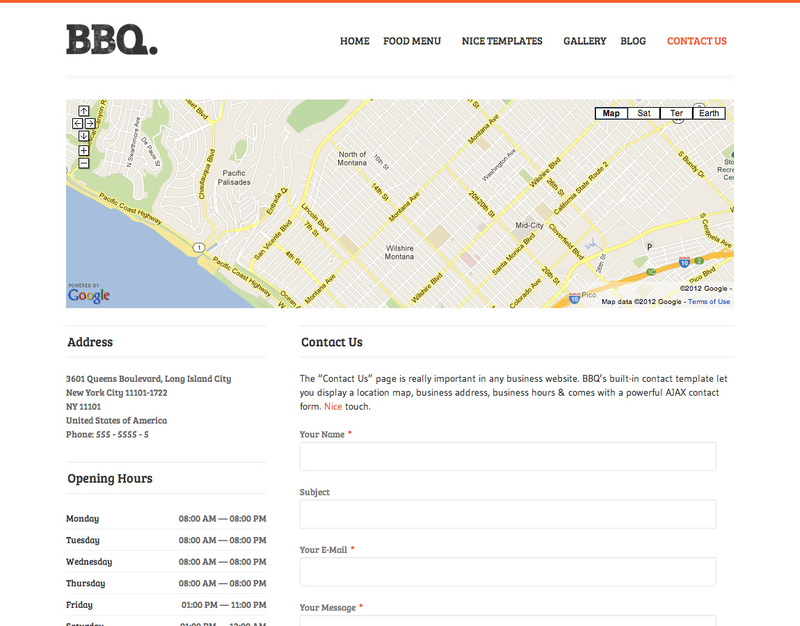 BBQ comes packed with two different menu card templates. First, a stunning grid based menu card template. Second, an amazingly distributed list based menu card template that includes a floating selector. Whether your website is for a restaurant or any other type of business, you can easily set your Opening Hours in the blink of an eye. If you change these by season, there?s no problem. Modifying them is a really easy job. Plus, you can show them wherever you want by using the built-in Opening Hours widget. Your site visitors will certainly know when they should visit or call you. 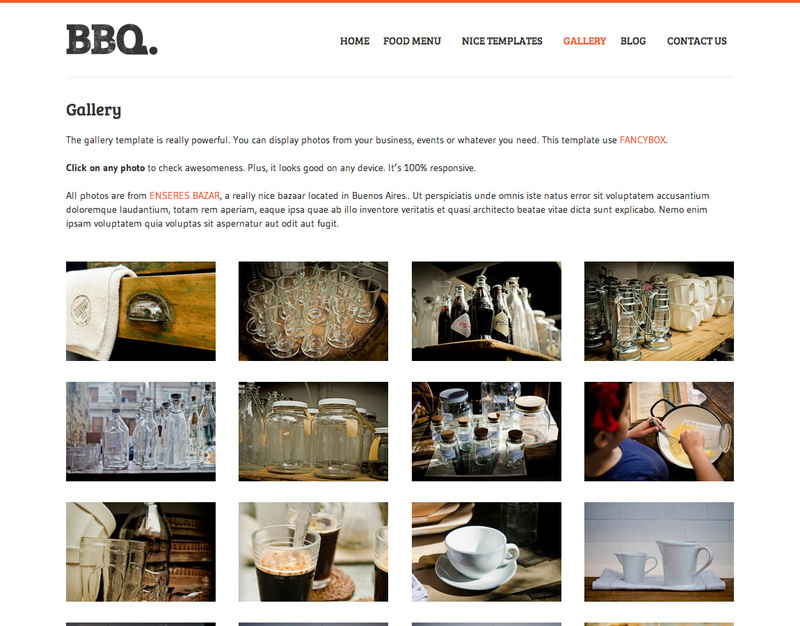 We have incorporated the gallery template for this theme. It?s amazingly neat, powered by the famous script fancyBox. Thinking of local businesses, restaurants, pubs, bars, etc we came to the conclusion that there?s no good business if website visitors/customers don?t know where you?re located. That?s why we specially focused on this template when developing the theme. We think we?ve done a remarkable job. This template shows your location map in an elegant way; it also includes your address, opening hours and a specially developed contact form. Show what your customers are saying. Use the built-in custom template or set the widget wherever you like, so others can read how amazing you are. 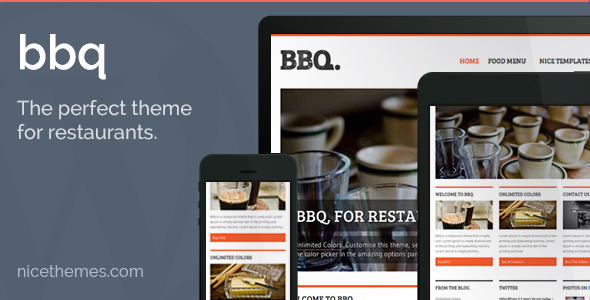 BBQ is a 100% responsive WordPress theme. This means that it looks great on every device: a really important thing having in mind that, these days, most users look for restaurants/bars from their mobile phones. 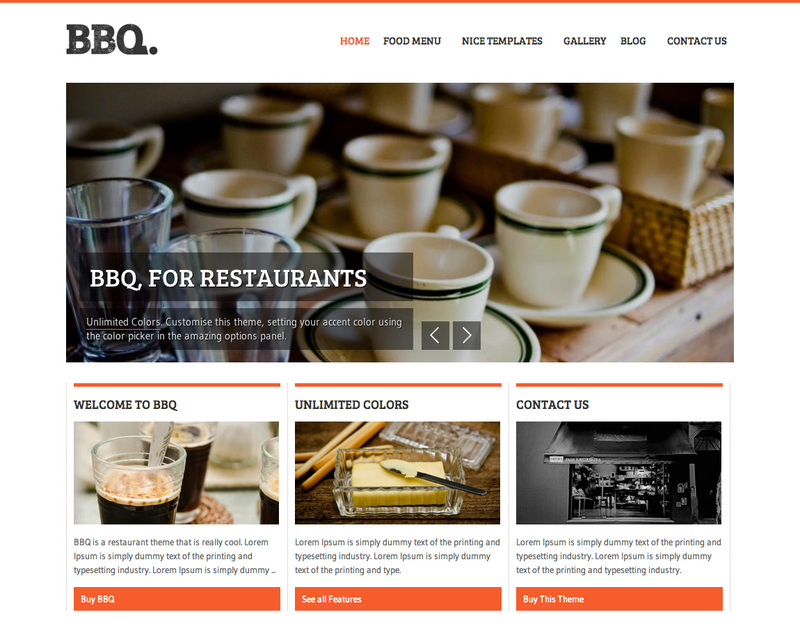 If you need an awesome theme to represent your business, BBQ is the right choice for you.